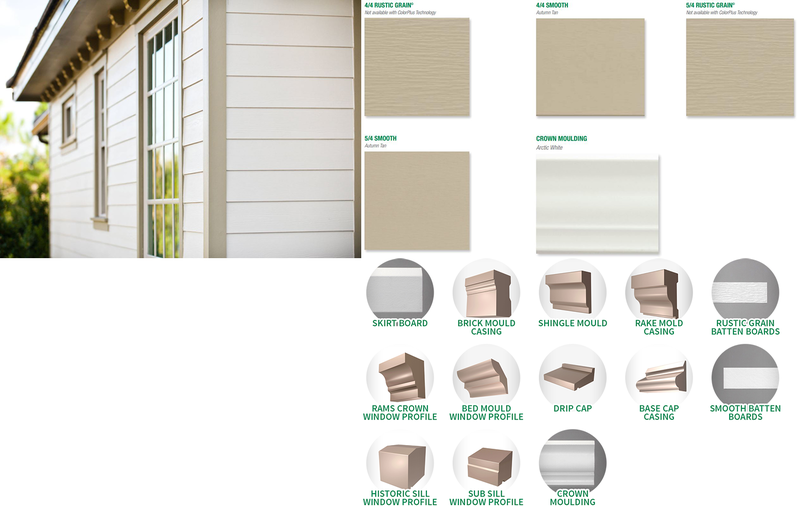 James Hardie produces more siding options than any other manufacturer in the world. They bolster a full complement of product lines that, when combined, provide the best complete exterior solution in the Carolinas. 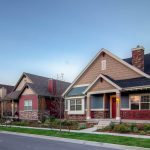 This means that homeowners do not need to mix and match products, leading to potential color differences and varying maintenance & product life cycles. The picture to the right explains the potential dangers of mixing materials. This house has Hardieplank with wood trim. After years of rain and exposure to the elements, The Hardie remains unscathed. 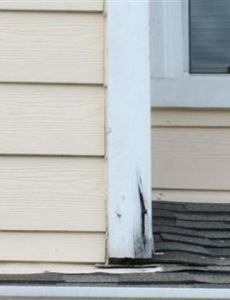 However, the wood trim shows severe signs of deterioration and mildew. It sticks out like a sore thumb! A 100% Hardie Exterior prevents what you see in the image to the right by providing complete coverage to your home’s exterior, not just the siding. Traditional lap/clap board siding. This is the Carolina’s most popular product line. Compliments your siding on the corners, windows and other areas of your home. Features blind-nail installation and a variety of color options. Mimics the look and feel of real cedar shingles without the performance drawbacks of a wood product. Versatile 4 x 8 and 4 x 10 sheets of fiber cement. Most commonly used in Board & Batten and Panel & Channel designs. No need to pair you beautiful siding with cheap aluminum or vinyl soffits. Hardie has a solution. Hardie’s luxurious designer brand of siding. Enjoy striking aesthetics that will set your home apart from any other. Live colorfully! 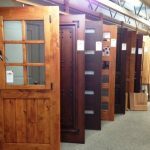 Hatch Remodeling offers 33 unique Hardie colors.